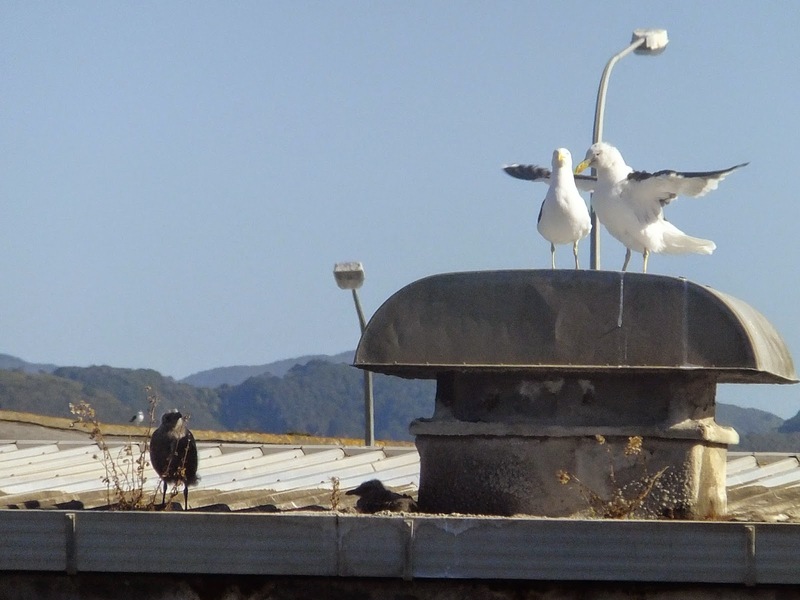 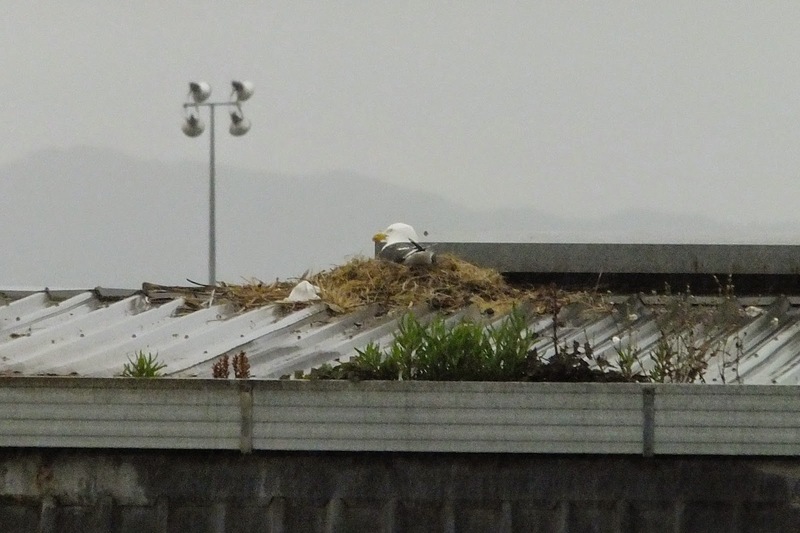 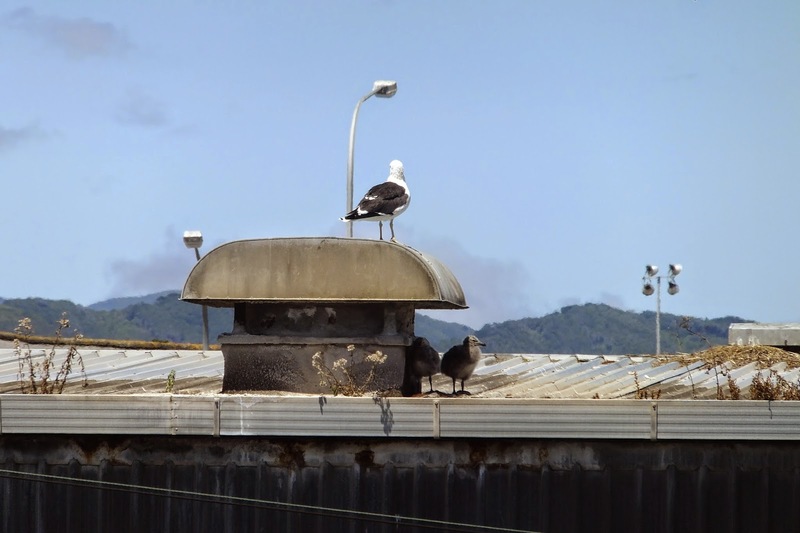 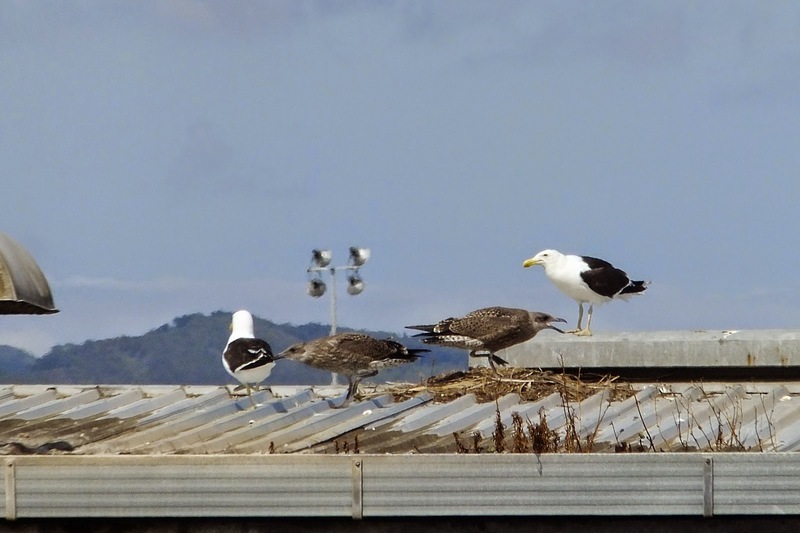 On the last day of work in 2014 I noticed a Karoro (Blackback gull) sitting on a nest on the building across the road. 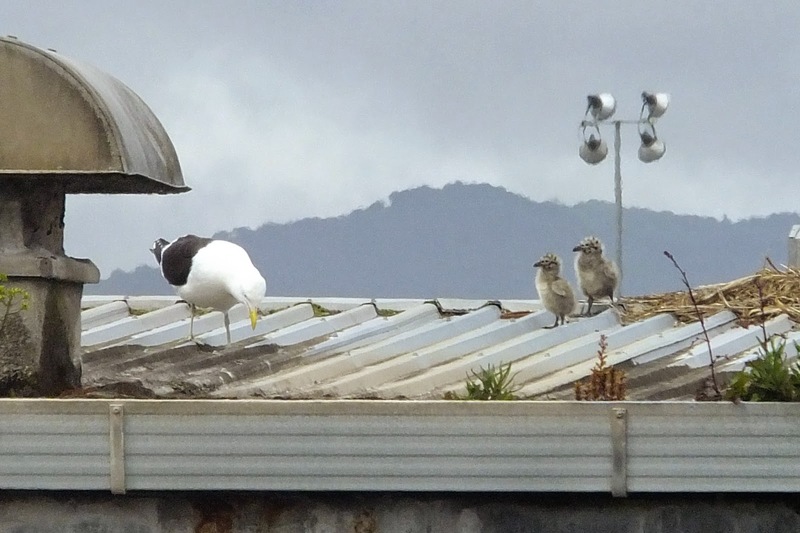 What a treat, I might get to watch chicks growing up right in front of me, a perfect mental health break! 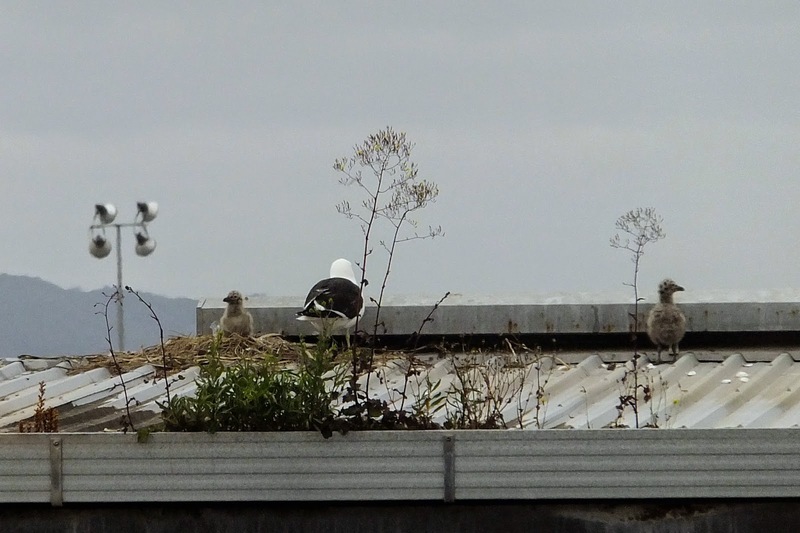 Below are photos taken over a 3 month period up until the little ones fledge. 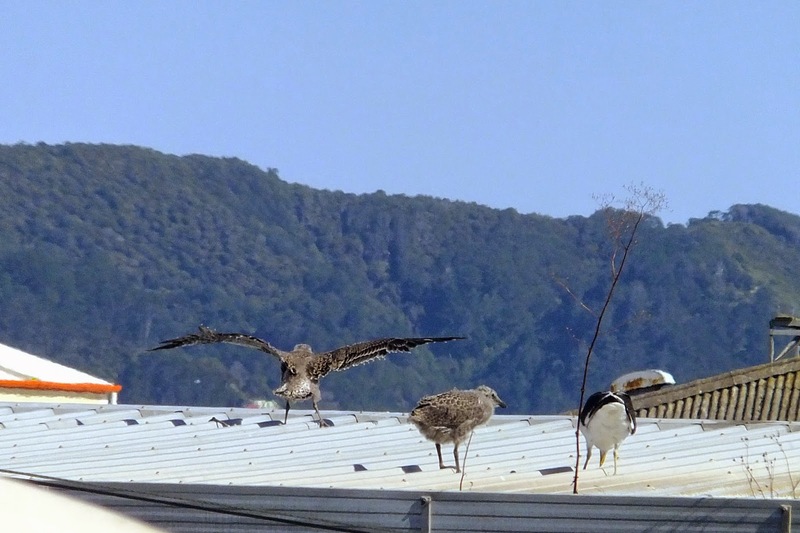 It was pretty awesome to watch them attempt to fly and then finally master it. 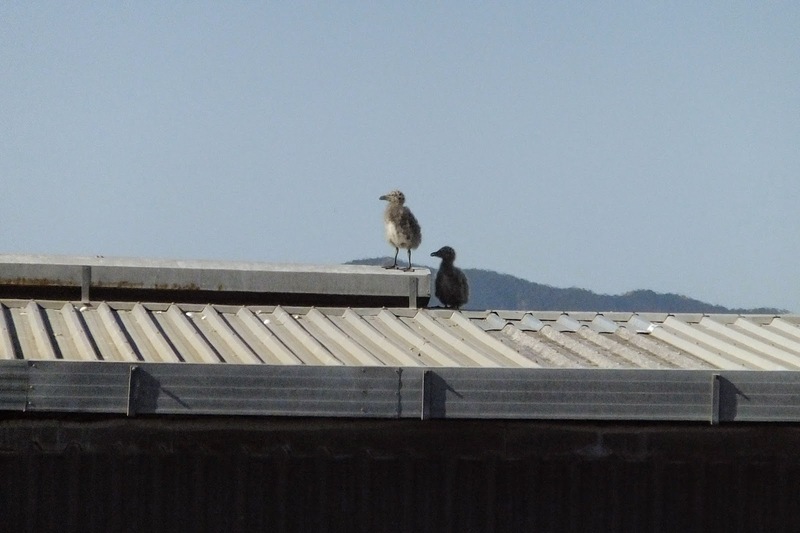 I only see them occasionally now.